Good Morning Dolls, I hope you all have a lovely day today. So, apparently I've been having a parka for like a year without knowing until I started seeing some of my favorite bloggers calling these lovely coats parka (silly me). Today's just a casual Tuesday as you can see, and nothing makes me more happier than seeing these beautiful flowers growing on trees because spring is finally actually here. Very cool pic! I love your shoes n' coat! Aaaah, so pretty!!!! 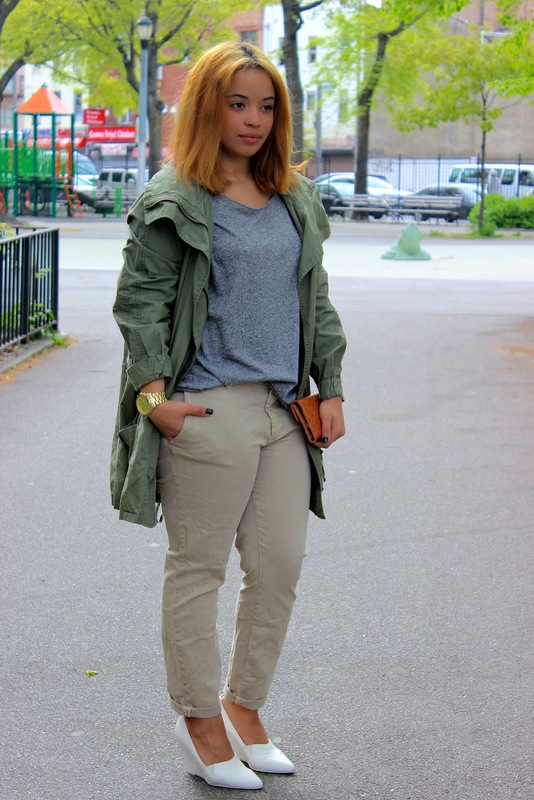 Adore the parka and your top. And the green gives a nice contrast with your hair! What a cute parka! You look gorgeous! maybe...we follow each other on BLG?